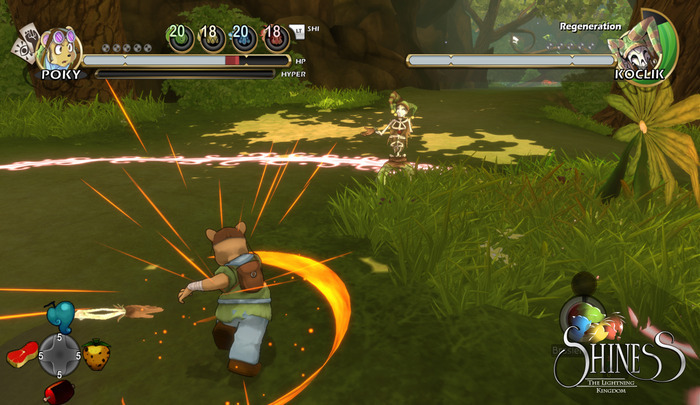 Developer Enigami has been working toward the release of their dynamic fantasy RPG, Shiness since 2013. After working on the project in their spare time for roughly one year they teamed up with publisher, Ynnis Interactive to launch a Kickstarter campaign to fund the remaining development. Over 3K backers rallied to the cause, helping them raise $139,865 of their $100,000 funding goal. While the Shiness launch this week should have been cause for celebration, many console backers see it as a snub from the developers they trusted. While the Kickstarter initially promised Shiness on PC Windows and Mac, the developers were teasing backers with the potential for a PS4 release long before the campaign ended. It’s possible Enigami and Ynnis got so swept-up in backer’s enthusiasm for console versions that they over-promised in their updates. It’s equally possible that their choice of words resulted from non-native translation. Either way, from fairly early into the campaign, they told backers that they would have the option to claim a PS4 version upon release. They continued to reinforce this message throughout the duration of the campaign. Pledging for a copy of Shiness at any reward level would earn a game key to your platform of choice upon release. This included physical copies. “If you pledge for a physical copy of the game, once we contact you at the end of the campaign you will have to tell on which platform you want the get the game. There is no extra cash to get a physical consoles copy.” (Kickstarter update, May 2014). Despite what Enigami had implied in their updates, the campaign page still reflected that the PS4 release (and later Xbox One) was part of the $140,000 stretch goal. Regardless, when the campaign ended on June 8, 2014, they announced that they had “rounded” the $139,865 up to meet the goal. They officially promised Shiness for PS4 and Xbox One. The following years saw a number of setbacks for the project, (including Focus Home Interactive taking over as publisher) which had expected to launch back in 2015, then again in 2016, before finally hitting Steam on April 18, 2017. Prior to March 2017 backers were told over and over that they would get to choose their platform prior to release. Finally, on March 17th the developers let backers know that they were almost ready to send the all important platform selection survey. There was just one catch, suddenly console versions were only available digitally and only in limited quantities. Enigami was attempting to backpedal on their promises. Suddenly backers could only claim one digital console key, regardless of how many copies of the game they’d pledged toward. And this was only available to backers who’d pledged at an unspecified tier. Attempting to downplay this massive oversight, Enigami tried to wave the console release off as a special addition and not a central part of the Kickstarter campaign. Unsurprisingly backers were livid. Many insisted that they’d only pledged once they’d heard the game would be coming to consoles. Enigami announced the release date without mentioning which tiers would be eligible for the PS4 and Xbox One keys. In fact, they didn’t bother mentioning it again until after Shiness had already show up for sale on Steam. On the release date backers were still in the dark regarding the fate of their console keys. Additionally, most hadn’t even received their Steam keys. Many keys didn’t arrive until long after the general public had access to the game which is a huge crowdfunding faux pas. Finally, Enigami CEO, Hazem Hawash posted a Kickstarter update to clear up some of the confusion. Unfortunately, somewhere between assuring backers that their Steam keys would be arriving shortly and thanking everyone for their support he dropped one final bomb. Only backers who’d pledged toward $45 or higher tiers had the chance to request console keys. This campaign has so many mismanaged aspects that it’s difficult to know where to begin. Even so, waiting so long to let backers know if they’d be eligible for console keys may top the list. Particularly, after remaining silent on the issue for so long. The issue from Enigami’s side is that, unlike Steam keys, publishers have to pay for console keys themselves. Information that either Enigami or Focus Home Interactive should have looked into before assuring backers that they could select their preferred platform. It was a mistake that they have pushed off on their backers rather than shouldering the blame for themselves. Naturally, backers have lashed out at Enigami. Several backers have produced correspondence where the developers explicitly promised the option to claim game copies on console rather than PC. Many are calling for refunds, arguing that they have not received what they pledged toward. Add the usual issues inherent with a game release and Enigami is suffering substantial backlash over their poor handling of the situation. Hopefully, the developers will come forward to clarify the problems and at least make an attempt to appease their backers. 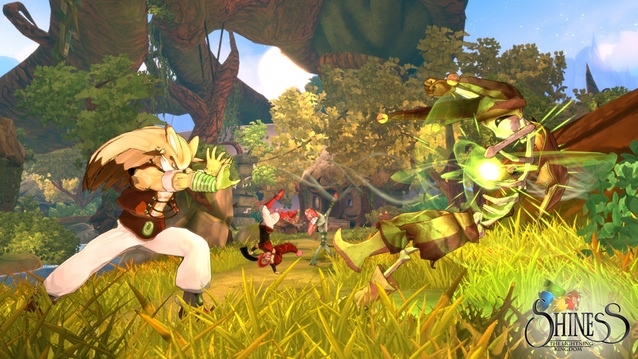 Shiness is doing well on Steam, despite the Kickstarter fallout. It’s a shame that an otherwise good game has been tainted due to the circumstances of its troubled launch.